THE LAST SHIP‘s final season will premiere on Sunday, September 9, TNT announced. TNT has announced its Comic-Con plans for THE LAST SHIP and FALLING SKIES. In addition to panels, THE LAST SHIP will have an Oculus Rift experience to take fans into the show’s world. TNT has renewed three shows: THE LAST SHIP, MAJOR CRIMES, and FALLING SKIES. For THE LAST SHIP, the season 2 order will be 13 episodes (up from its season 1 order of 10). MAJOR CRIMES will have a 15-episode fourth season. 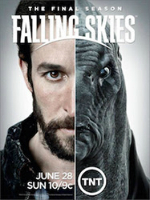 And FALLING SKIES will have a 10-episode final season. Which renewal are you most excited about?